Our range of products include lab animal complete life cycle feed, laboratory rat reproduction and lactation feed, rodent feed and laboratory mice maintenance feed. We are Manufacturers Exporters and Suppliers of Compound Lab Animal Complete Life Cycle Feed suitable for Laboratory Rat and Mice. This is a complete feed ration in 8mm x 20mm pellete size cooked above 100 Degree Celsius. No additional supplements are required to be fed to the animals. We are Manufacturers Exporters and Suppliers of Compound Laboratory Rat Reproduction and Lactation Feed suitable for Laboratory Rat and Mice. 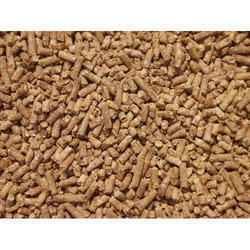 This is a complete feed ration in 8mm x 20mm pellete size cooked above 100 Degree Celsius. No additional supplements are required to be fed to the animals. We extend a premium quality range of Rodent Feed to our client which is processed using best quality raw material in sync with latest industry standards. The raw material is sourced from trusted vendors, so that the end product is nutritious, easy to digest and safe to consume. It ensures high-growth of the livestock. We package it in safe and secure air-tight packages so that it retains the natural qualities of the Rodent Feed for a longer period of time. It is offered at highly competitive prices. We are Manufacturers Exporters and Suppliers of Compound Laboratory Mice Maintenance Feed suitable for Laboratory Mice. This is a complete feed ration in 8mm x 20mm pellete size cooked above 100 Degree Celsius. No additional supplements are required to be fed to the animals.